Sophie was appointed to the CPS Panel of Advocates in 2017. Sophie appears in the Crown, Magistrates’ and Youth Courts primarily on behalf of the defence. Sophie is instructed in a wide range of criminal matters, including drug, dishonesty, sexual, driving and violent (particularly in a domestic setting) offences. She has experience in representing defendants with a range of vulnerabilities and in cross examining vulnerable witnesses. 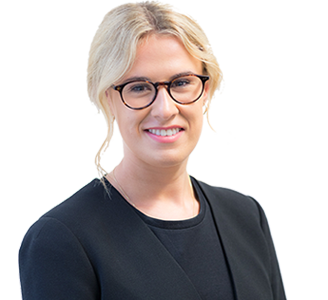 Sophie has been commended by Crown Court Judges on her “focused and intelligent submissions” and her “polished and confident” manner. Her thorough and meticulous preparation, means she has secured appeals in the Crown Court on both conviction and sentence. Prior to joining Foundry Chambers, Sophie worked as a paralegal at a Law Firm in Houston, Texas specialising in capital defence. During her time in Texas, Sophie was able to conduct conferences with clients pre and post trial, visiting them in the “jail” or on death row itself, most notably Sophie assisted attorneys with a client who was running a defence of insanity. Sophie was led as a junior representing England Cricketer, Ben Stokes, in the proceedings brought by the ECB. She has a good knowledge of disciplinary proceedings and the particular challenges associated with representing players.